So when I said a while back having things in the works, this was one of those. SURPRISE !! Lejila who runs her blog World Of Anime Girl contacted me in August about being interested in collaborating with me. This made me so excited, someone using my contact form for this purpose as I set it up to be. Tossing around some ideas we both came up with suggesting each four anime from our list we had seen. Then giving a brief summary what we loved and didn’t like about it, so first I’ll be going over the anime’s Lejila chose for me. It was an interesting selection and through this collaboration it is our simple wish to share our feelings and encourage to give these shows a go. This is one of Lejila’s favourite anime so have to be extra nice. Haha she shouldn’t worry as Yona of the Dawn is a series wishing I’d seen sooner. Only this year finally got around to watching it as requested by my followers. Your welcome to read my thoughts on Yona here. This series is great to be swept up in all the adventure, just feels fun to be lost in it all. Yona’s transformation from powerless princess to empowering female lead in the end, It is a ultimate feels experience . A great perspective on female strength. Great focus on all the characters, feeling relation to some of their tragic back stories. In the non acceptance from others and the vulnerability of feeling powerless. There is a lot more pros than cons to say about Yona but only issue having with Suu -won, supposed villain in his selfish actions were childish. His character made me feel nothing for me and wasting two episodes on just him alone, diverting from the story a little. Yona of the Dawn is a very engaging, action filled series that won’t disappoint. Explores some deep backstories but it’s comedic aspect is dam strong enough to break that all up. Give Yona a second season would you STUDIO PIERROT. !!!! 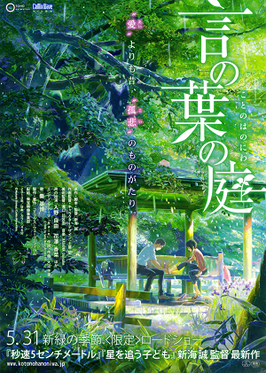 It’s been sometime since seeing the Garden of Words but this was not the first of Shinkai’s works I’d seen. This is not a long film about forty five minutes but it makes such a huge impact in such short time. Shinkai’s visual are like eye candy, just can’t stop looking, too hard to flaw it. Just impossible, the feeling of when the two drawn duo meet in a serene rain setting is captured in such a beautiful light. Visuals have such a strong presence throughout the movie, capturing the personal struggles, loneliness Yukino and Takao feel. There’s nothing honestly I didn’t not like about this movie, the relationship of student and teacher. It was handled appropriately left me feeling satisfied with the ending. I’ve always loved the rain, never left me feeling gloomy and it’s funny coming across this movie, it expressed this feeling extraordinarily. Lejila picked two out of this four, that’s been a long time since watching these. Corpse Princess was a blood spurting, revenge filled series, so never remember I bored for starters. Honestly character wise don’t feel was a strong suit, can’t recall feeling invested in anyone particularly. 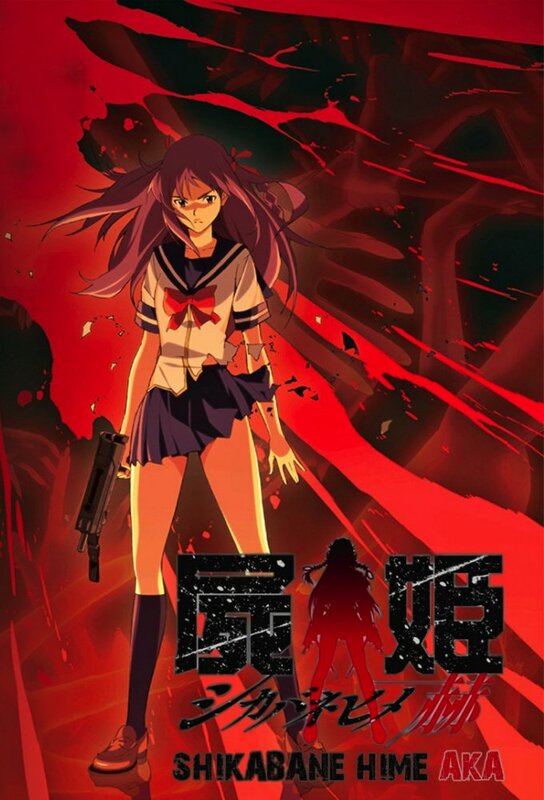 Though the main protagonist Makina did like her but only because badass with a gun and non – remorseful attitude. The premise of the story is strong but the ending is something that left me hanging a little. Depending on the viewers own interpretation, some I know didn’t mind it. In no way from recollecting is this a bad series, it does have good standing but not something would be yearning to revisit. Either way if you do watch this, it is an entertaining watch at the least. To date still Deadman wonderland still is one of the most entertaining watches for me ever. Blood, gore, carnage this series will be for you. This is a series that had so much potential to be grand but left at good standing sadly. The plot felt could have been developed further, which is why a 26 episode series, been more appropriate. That is the series biggest flaw feel apart from cliff hanger ending and lack of character background on Shiro. Still questions left unanswered after all this time. Like for Yona it needs a second season, many I know feel the same as the plot premise was great. Framed Ganta for murdering his class, thrown into this hell of prison. Where it’s life or death itself. Regardless of the flaws it had me on edge every episode, greatest strength for deadman wonderland. If nothing else you’ll be left entertained and one of my favourite english dubbed anime. Ao Haru Ride is the first romance anime I watched because I hadn’t always been a fan of that genre. The anime was so amazing that it actually convinced me to give other shoujo/romance anime also a chance, but none of them were as good as Ao Haru Ride. The thing I loved the most about this anime is how the makers actually created some kind of parallel story lines-one that follows our main characters in the present and the other one in the past. It’s intriguing to see how they then interact with each other and create a complete story that is both entertaining and emotional at the same time. Also, Ao Haru Ride doesn’t just concentrate on the romance between our two main characters but also on the problems that the main and side characters are facing in life. With amazing characters and an outstanding animation, the only thing that Ao Haru Ride lacks is a second season. The anime continues its beautiful story in the manga and I highly recommend you to read/watch both of them. Among many anime that aired in 2015 Gangsta was definitely among the more popular ones. It was a boom in the community and everyone loved it, just as I did. Gangsta is a dark action anime whose story is set in a world full of corruption, gangs, prostitutes etc. Even though it has a simplistic plot, the story is still interesting to watch as it reveals many background and side stories to our main characters. It’s an action loaded anime whose story deals. with the ideals of humanity and true friendship that gets really emotional from time to time. I personally liked it first of all because of the action and amazing fights and secondly because of the topic is tackles like the true meaning of friendship, humanity and corruption. The only thing that didn’t like in the anime is the slow story development in the first half. It was mostly and introduction to the characters and the whole setting of the anime, but I think that the makers could have put some more excitement into the beginning. Eden of the east is an extremely interesting anime whose story catches your attention right in the beginning. 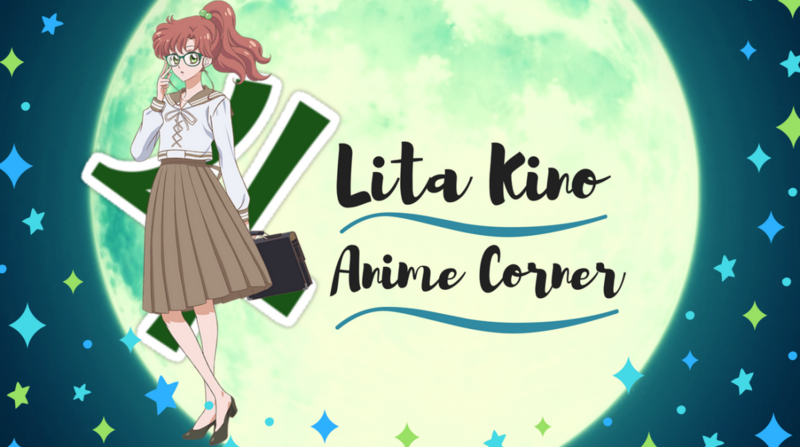 Keeping you on tenterhooks from the first to the last episode it definitely deserves to be a part of your completed section on your anime list. It is a cute romance story that involves much mystery, drama and comedy. Eden of the East is a Sci-fi thriller that I loved for two reasons: the intriguing story that never gets boring and the unique setting. The story is also full of plot twist and surprises so you can never predict what will happen next because it always comes different. One more thing I loved about this anime is how they set the story not only in Japan but also in other places such as Washington DC and New York. 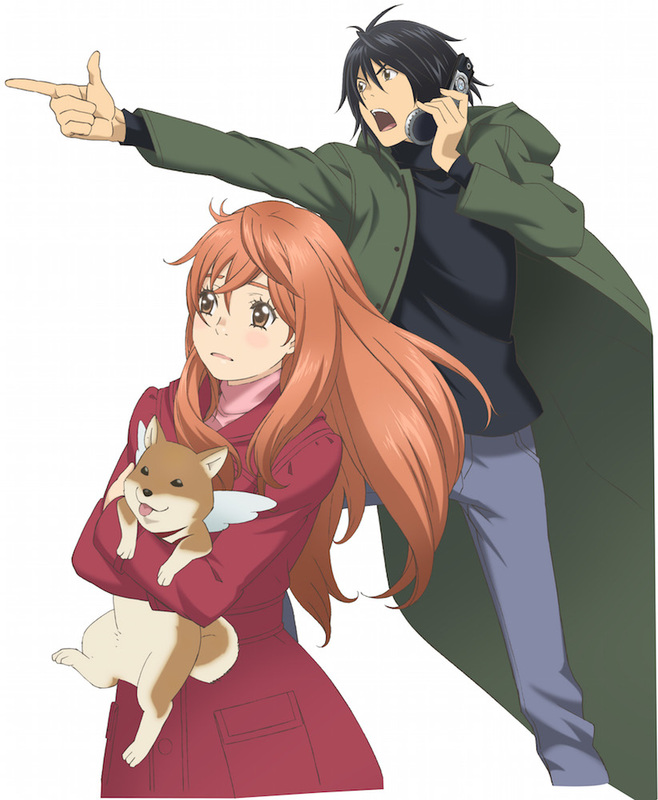 Eden of the East is an anime that has two seasons and a movie which no otaku should miss. I guess that there is not a single otaku that hasn’t seen this anime. I must admit that I am not a huge fan of Elfen Lied considering the fact that I don’t like too much violence. I did get used to violence and bloodshed in anime, I love the action that most anime offer, but Elfen Lied was just too much. When it comes to the story of the anime alone, I got to say that I actually liked it. It is an emotional, exciting and thrilling story whose core actually lies in the past. While watching the anime pieces of the past are slowly put together creating a whole picture that is Elfen Lied. One more thing that I found good about Elfen Lied was Lucy’s inner fight with her self. Those inner fights definitely are an anime thing but I think that Elfen Lied delivered the strongest and most intense one. All in all, you might not want to watch Elfen Lied right after starting watching anime, but as soon as you get used to violence and bloodshed you could actually enjoy it. It is not one of my favorites but it is still a great anime. From me and Lejila we hope you guys enjoyed our collaboration piece. It was a fun way of seeing what anime we have seen and our thoughts, comparing. Don’t forget to check out Lejila’s blog, she has got some great variety on her blog. It’s been so great to get to know her, lovely person. Thank you Lita for your nice words and for giving me the chance to make a collab with you! It was fun and I hope we’ll do another one soon. Keep up the amazing work on your blog! Oooooh. Nice choices. I really must see Garden of Words!